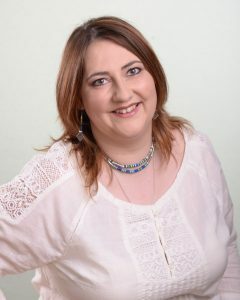 Victoria House Therapies is run and owned by Laura Franzen BA (Hons) FMAR MFHT, who is a qualified complementary therapist with experience and a passion for helping people achieve total wellbeing of mind, body and spirit through amazing therapies. Laura has been practising reflexology for over five years in her own practice, Footlights Reflexology. It’s been an exciting few years, which has seen her become fully trained to practice Vertical Reflex Therapy, Hot Stone Reflexology, Facial Reflexology, Advanced Facelift Massage, Zone Facelift, Aromareflex, Chinese Foot Massage, Holistic Massage and Indian Head Massage. In 2017, Laura was thrilled to achieve a prestigious Fellowship membership of the Association of Reflexologists through a rigorous assessment process. She is also proud to be a Full member of the Federation of Holistic Therapists. When not practising reflexology, Laura works for the Association of Reflexologists as the AoR Publications Editor. She is also a member of several advisory committees at the Association regarding quality in the therapy, both in terms of qualifications and in terms of Continued Professional Development. Laura is a Neal’s Yard Independent Consultant Therapist, which means that not only do you get to feel the benefit of their amazing products in your treatments, you can also purchase some of your favourite products from your treatments to take home with you when you visit Victoria House Therapies, so you can continue to maximise on their benefits in between treatments.